I thought the course was brilliant. The modules were really interesting and the teachers were very helpful. Our highly committed team of teachers will assist the students in gaining knowledge of working with young children in early years settings. Work Experience Placements form a vital part of this course. 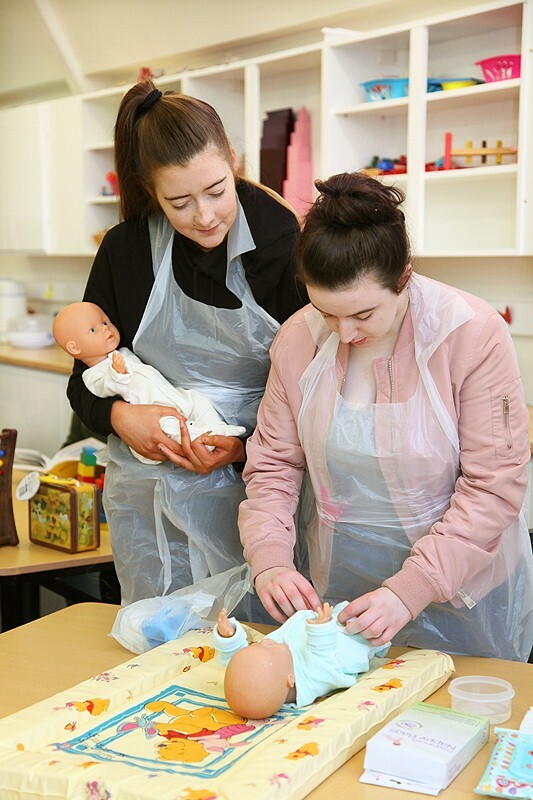 Students will have the opportunity to attend a work placement in an early years setting one day per week and also have two weeks block placements during the year. Every year a number of students have the opportunity to travel to another European country for three weeks work experience. The students attend an early years setting in the host country and observe and participate in the day-to-day work of the setting, learning about how they deliver professional child care and education. View our European Work Experience page here. In addition the students will undertake visits to a range of course relevant settings to broaden their learning experiences. Mature applicants who have relevant experience and may not meet the above requirements are welcome to apply. Our students have a range of opportunities open to them upon completion of this course. Employment in early years services / creches as an early years practitioner. Progression to Level 6 Childcare and Education Advanced (subject to merit/distinction profile).